It was great to catch up with FOLK2FOLK at the RCS. If you don’t know FOLK2FOLK you should. Don’t get me wrong the writer used to run an independent advice firm so there is a multifaceted consideration for every business when it comes to lending. Zamu are independent however FOLK2FOLK are worth a talk to. They are responsible and allow lenders to support local UK businesses. The matter the writer has been conscious of in business for many years is to get businesses competent at working on their business. To be able to step back and concentrate on the Vision, Strategy, Planning, Short Term and Long-Term Goals. Funding is a part of that when required. From the writer’s discussions with the team at FOLK2FOLK they are of the same view – Sustainable business responsibly funded equals success. The lunch was great as well. 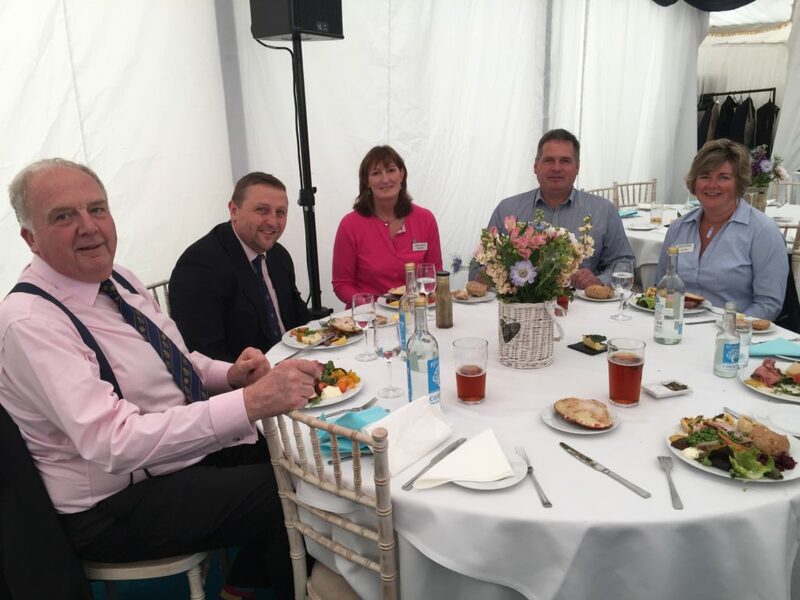 The caterers at the CLA tent did us proud. Dare I say it the Quiche was the star of the show!